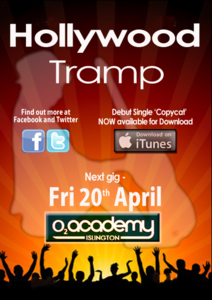 Introducing a group of musically talented London Lads, also known as Hollywood Tramp. 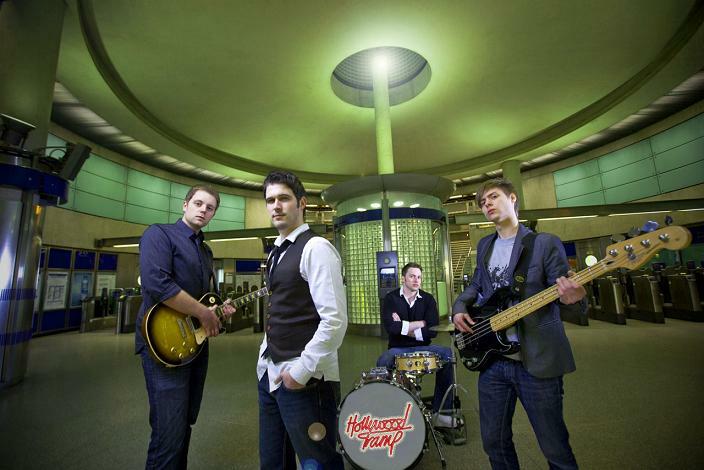 These boys pride themselves on their fun and fantastic live shows, and have just released their single Copycat, and a gig coming up at the Islington o2 Acadamy later this month. The bands line up is Steve Dent, Sean Colley, Rowan Cox and Phil Swan, we spoke to the lads to see what happens in th world of Hollywood Tramp. Hi guys, So how do you guys all know each other? •We’ve come together over the years though things like music college way back in 2003, mutual friends and ‘borrowing’ turning to stealing members from our friends bands. How long have you been together as a band? • St_ This line up since August ’08. The last man in Phil (guitar) just naturally changed our sound so much. To those who haven’t had the pleasure of hearing your music yet, how would you describe your style and sound? •S_Mixture of styles Funk/pop. RC_ We really put on a high energy show, whenever there are people dancing we can really feed of their energy. Who were you influenced by musically, growing up? •St_We’ve all come together from different places in music like Row used to listen to a lot of Hiphop, and I reggae. Sean was hugely influenced by George Michael. So pretty damn different. You say that you pride yourselves on your life performances, what can the fans expect at a Hollywood Tramp gig? •S_ we feel we engage the audience, with the mixture of Showmanship and musicianship. Which music artists would we find on your personal iPod playlists? •St_ actually none of us own iPods…. Frank Turner, FUN, and like everyone in the world right now Ed Sheeran. S_ Foster the People, Everything Everything, The original Se7en. 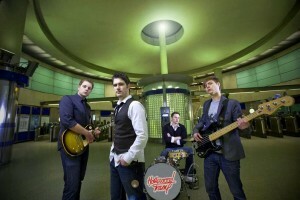 P_ John Mayer, The Script, Plan B… R_Michael Jackson, RHCP. 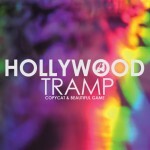 So what is next for Hollywood Tramp? You are four London boys, our readers are big supporters of uk talent, what artists make you proud to be from the uk at the moment ? •Adele, Ed Sheeran, and surprisingly were jamming out to Jessie J’s single Domino. St_ Also I think Kasabian are in for a long career, their current ‘Velociraptor!’ album is I think the best in terms of writing since the first album. What is the ultimate dream for Hollywood Tramp? •We actually already have achieved it by supporting David Hasslehoff on his imaginary tour of east London pubs. However honestly for all of us our dreams would be to play some gigs opening for a band that we respect and have influenced us all so much, like Maroon 5, or the Red Hot Chili Peppers, John Mayer.